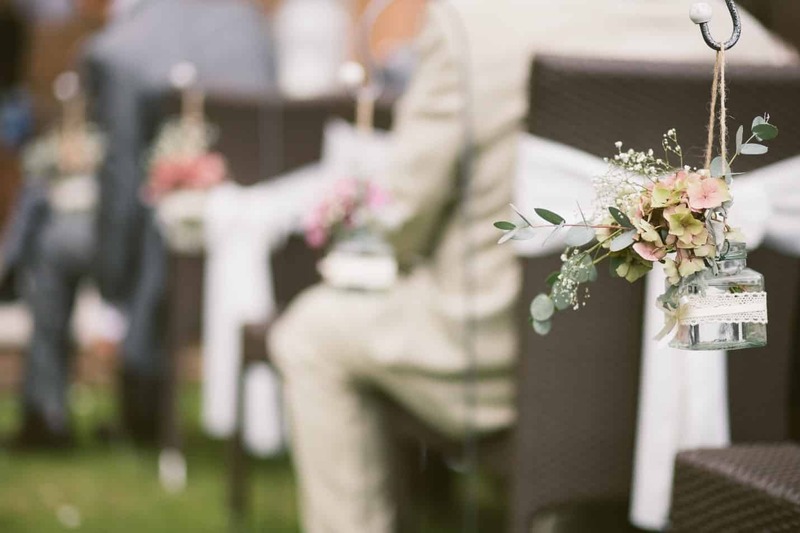 Outdoor weddings have become the bees knees – no pun intended. In fact, weddings of the future have a new edge to them and are taking it outside the typical wedding comfort zone, but in a good way. Traditions are great, but not everyone agrees with them. If you’re not religious, you’re not going to have your wedding in a church. Suddenly your options are extensive. You can have a beach wedding, a sleek modern wedding in a warehouse location or opt for the hottest new trend – outdoor weddings. They’re a great option for those smaller ceremonies that strive for a more intimate setting and for larger ceremonies that want a more romantic and rustic feel to their big day. 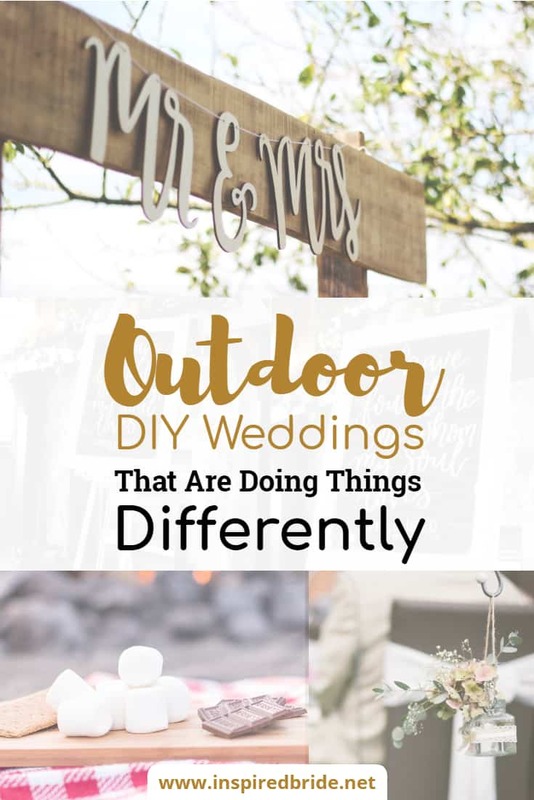 Read on for eight DIY inspired crafts to include at your outdoor wedding, sure to make for an unforgettable time. Yes, you read right. Rugs at an outdoor wedding. They’re quickly gaining in popularity because they make a great aisle and create a comfortable and quaint environment, especially if your location is out in the woods. This may sound like an expensive decor idea, but it’s not if you visit local consignment or vintage stores where used rugs are rather affordable. Don’t worry about finding matching rugs because mismatched rugs are a better idea. They can make your space look larger and add a certain flair to the overall style of your ceremony. You can go with different white hues, bold plums and golds or bright colors that pop. Choose aisle runners, area rugs, round rugs, rugs with fringe – don’t be afraid to mix it up and layer some of them in the process. Floating floral arrangements make a beautiful and unique centerpiece for reception tables. Since they are lifted, they allow for more room on tables and space for other decor. Floral chandeliers and other hanging floral installations create that wow factor above the bride and groom’s table or over the dance floor. If your venue doesn’t have hang points available, create risers or posts that give off the illusion of floating florals. The aisle of your wedding is an important component. It’s the walkway for your last steps as a single woman, and the platform for your first steps as man and wife. Line your aisle with lanterns that are lit with candles but opt for LED candles because real candles can be a hazard. LED candles give the same effect and come in a variety of shapes and sizes. Choose from paper lanterns that hang from aisle chairs, hanging lanterns decorated with ribbon and flowers or lanterns set on the ground, next to each aisle chair on either side. Whatever you choose, a candlelit pathway is sure to create a romantic and magical ambiance. In addition to a traditional wedding cake, set up a s’mores bar or station – sure to be a hit with kids and adults alike. 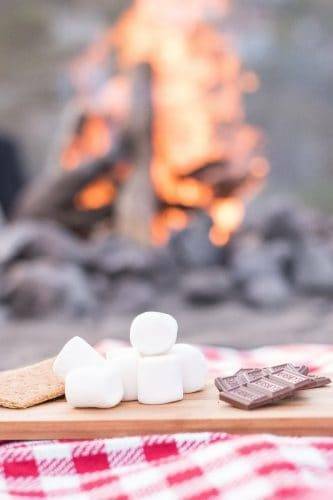 Make a trip to a nearby Costco or Sam’s club so you can stock up on graham crackers, marshmallows, Hershey kiss bars, skewers and some firewood for a couple of cozy bonfires to close out a memorable evening with your loved ones. Of course, you can do this activity during the day, but it will be even more magical at nightfall. Guests should never leave a wedding empty handed. Many wedding favors include candles, sunglasses, candy, etc. 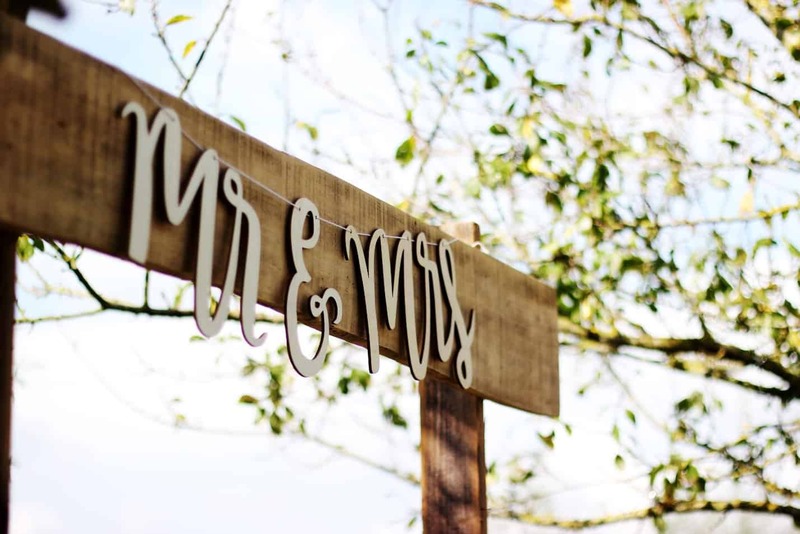 Opt for a unique wedding favor, such as a personalized item, and make sure you choose something that represents you as a couple. Wedding favors are much more than a thank you, then are an extension of your relationship. Any trinket can get lost in the shuffle if you fail to personalize it with your special date and/or names. So, choose the item that best represents your big day, then add your own personal touch. You can personalize M&Ms, mini candles, whimsical origami paper boats – your options are endless. You want to make a statement with your Mr. and Mrs. chairs at the reception, so make your own unique chair garlands with lush eucalyptus and your favorite florals. This will make your chairs stand out amongst the crowd and gives you an opportunity to be creative and create something special. You can also intertwine the garlands together to sweetly join the two chairs together. Create a dynamic vibe if you add mirrors to your wedding decor. Don’t think full length mirrors, randomly strewn about. Think more along the lines of mirrored elements that can widen your space instantly. Add mirrors to tabletops, bar menus or chair signage. You can write out your dinner menu on a large antique mirror or share special memories of you and your hubby by sticking your favorite photographs onto a giant mirror for guests to see as they enter the reception. Everyone looks forward to the food at a wedding reception. Wow your guests with food stations, as opposed to your traditional sit-down dinner or typical buffet line with chicken and fish. With food stations, you’ll give your guests an experience to remember, since you can incorporate a variety of different cuisines into the meal. You can set up a taco station, pizza station, sushi station – you get the idea. Make it reflective of you and your hubby and your favorite foods, so you can share them with all your loved ones. If you have personal recipes, even better. Use this as an opportunity to tell your story as a couple – through food. Your wedding doesn’t have to be a traditional wedding with traditional decor, food and favors. Shake it up a bit. Outdoor weddings really open the realm of possibility and allow for your creativity to flow. Incorporate more of yourself and your groom into the wedding through your decor choices, food options, wedding favors and more. Don’t be afraid to stand out and do it yourself so you can create the perfect day for you and yours.